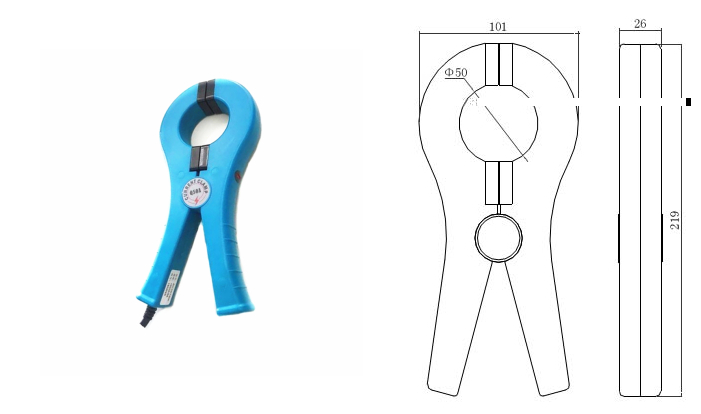 MEWOI-R60C High Accuracy Clamp AC Current Sensor use permalloy magnetic cores, with small size, high accuracy, good stability, strong anti-interference ability characteristics. It is applied with double shield technology, which insure strong anti-interference ability. MEWOI-R60C High Accuracy Clamp AC Current Sensor is widely applied in AC current leakage, current, power and energy measurement with high precision and small phase error of electricity, communications, meteorology, railway, oilfield, construction, measurement, scientific and research teaching unit, industrial and mining enterprises, which can be connected to a variety of high precision digital multi-meter and data recorder.